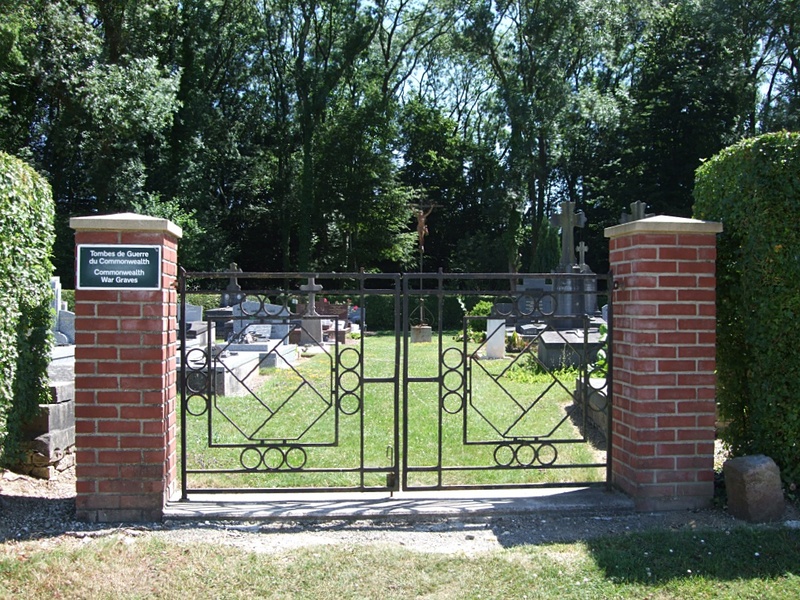 Bazentin is a village in the Department of the Somme, to the north-east of Albert, containing the villages of Bazentin-le-Grand and Bazentin-le-Petit. Take the D929 (Albert-Bapaume) from Albert and travel 8 kilometres. 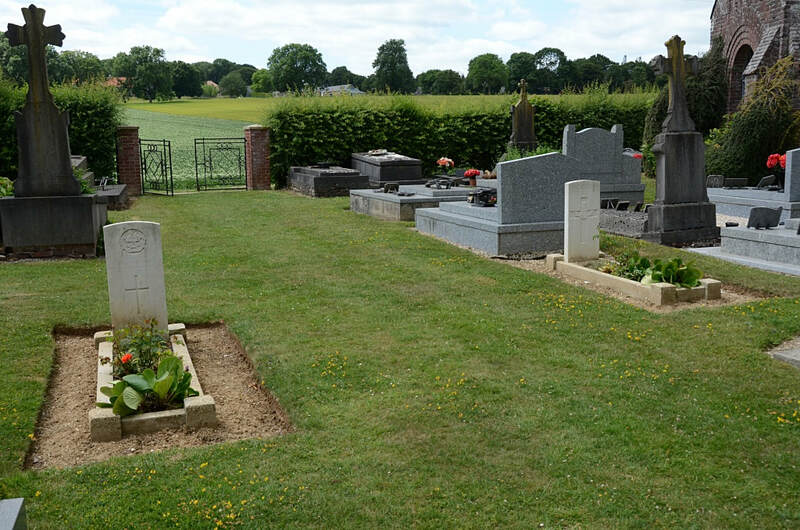 In the vilage of Pozieres, turn south onto the D73 to Bazentine and the village of Bazentin-le-Petit is 3 kilometres further on. 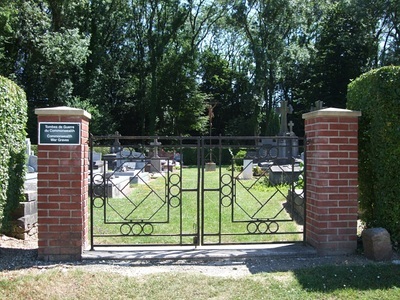 The Communal Cemetery is on the east side of the village, and is joined on the north by the extension. The COMMUNAL CEMETERY contains two Commonwealth burials dating from August 1916. Lieutenant. 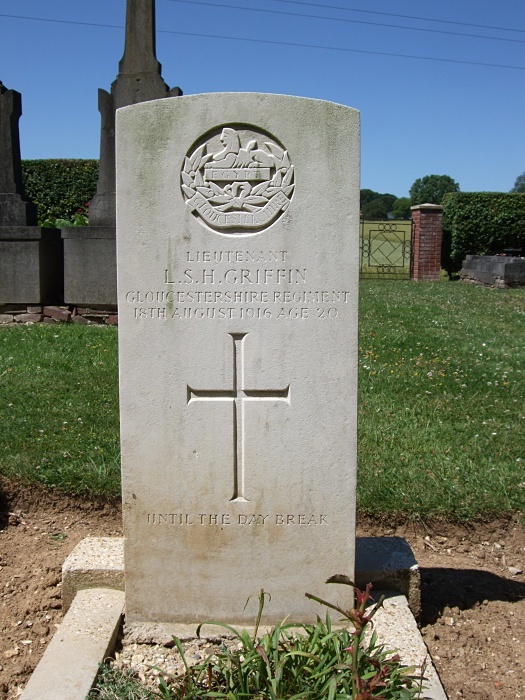 L. S. H. Griffin, Mentioned in Despatches. 10th Bn. Gloucestershire Regt. 18th August 1916, aged 20. Son of Herbert E. Griffin of Ashtead, Surrey. 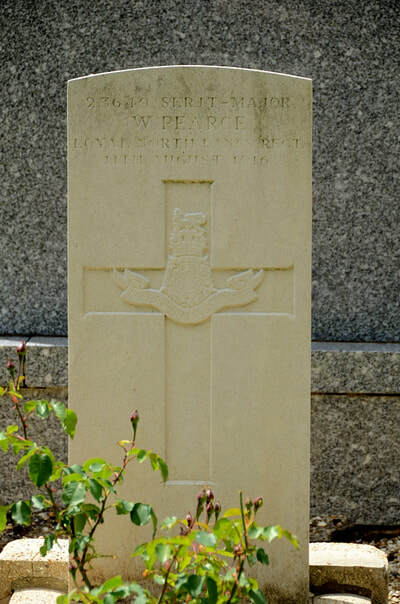 23649 Regimental Sergeant Major W. Pearce, 10th Bn. The Loyal North Lancashire Regt. 11th August 1916.